The internet is the Ocean of information. You can access any information through the internet and the information is provided by websites. When you try to access any information or data from the internet, you must need a browser in your computer which is a platform use for display a site by using HTML code. In 2015 there are several platforms available which serves as a web browser among them Google Chrome is one of the famous browsers. No doubt, internet is very useful, but beside its good effect there are some harmful effects that make internet unsafe for children. But if we try to eliminate the bad things, then internet is the best thing ever in the world. If we check in internet, there are several pornographic or violent sites which may effect on your child’s physical as well as mental speculation. Because Chrome is a major web browser today we totally concentrates on chrome and the question arise if we can able to block sites on chrome then it quit safe for children. Today WhatTechSays is going to introduce a solution of how to block sites on chrome. Chrome is a Google’s brand and provides all the facilities that all major browsers provide. 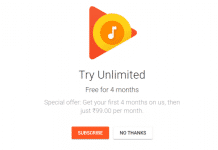 But Google Chrome does not provide a facility to block a site. So how can you able to block a site on chrome? 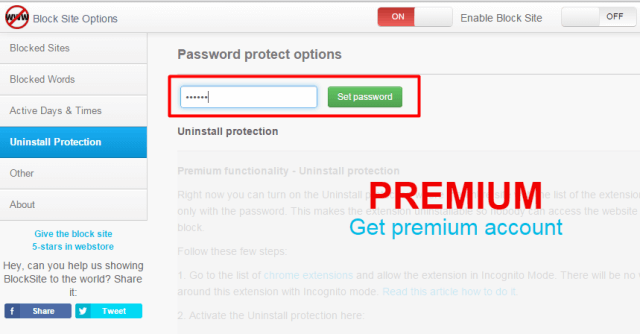 No doubt this has also a solution which called third-party Chrome extensions. 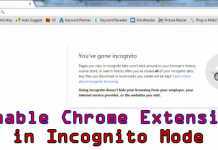 Chrome facilities you use extension which are available in Google Chrome Store. 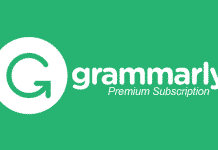 You can install this extension from the store. One of the best extensions is Block Site. Step 1: You can install Block Site Extension for block sits on chrome with simple searching it in the store. After installing you can able to block sites on chrome as well as block words also. Step 2: After installing when you open the extension field you are able to see all extensions that are installed in your chrome. Below the block site extension you can see the option filed click on it. Step 3: After opening the option field, there is an option available for Blocked Sites, Blocks Words and Active Days & Times. 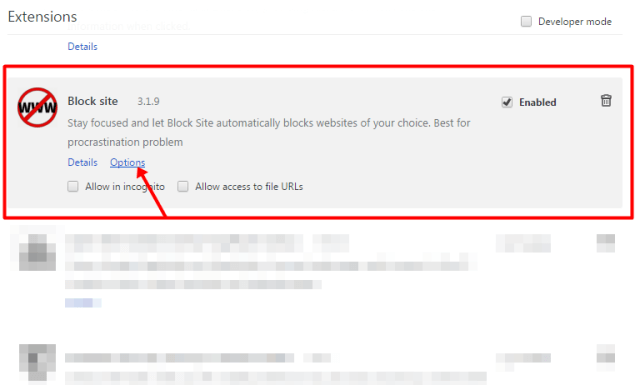 Step 4:Blocked Sites option is for block sites on the chrome on the basis of the domain name. If the field of block site list just writes down the name of the domain that you want to block and press add button. When you try to open the site, it shows a block message from Block Site. There is also an available option for redirect the block link to another active link. Step 5: Blocked Words able you to block a list of words that you do not want to show on chrome. This also shows a message or can redirect page to another site. 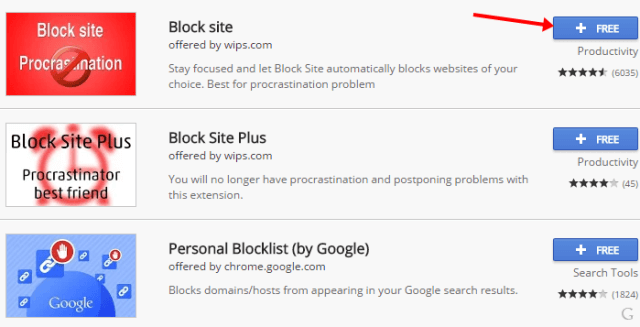 Step 6: Active Days & Times facilities you to set day and time where you want to block sites on chrome. Block site extension also has an option to set a password which provides a security features for you that no other can access the setting that is no one can enable block site without the password. Using Block Site extension you are able to block sites on chrome and other interesting features is that it display different kind of message that is interesting and amazing. Due to unexpected and violent information on the internet that can harm your child or any other person force you to block those kind of site to access. Block sites are an important extension that able you to block sites on chrome and also able you set password by which no other can access the blocked sites. Previous articleHow to Reduce Image Size When Click?